Please RSVP to ONE — The conference content will be the same. Saturday, April 13th, 2019 from 9 a.m. – 12 p.m. Norris Community Center (755 8th Ave. South) (CLICK HERE). 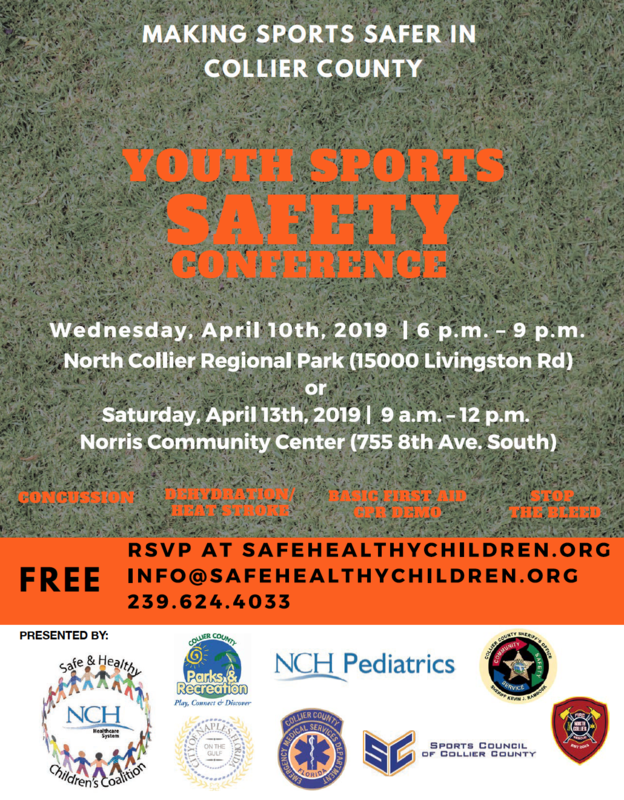 Please join us at the first Youth Sports Safety Conference and help us to make Collier County sports safer! TOPICS: Concussions, dehydration, heat stroke, basic first aid focusing on sprains and broken limbs, CPR Demostration and Stop the Bleed. The main goal of the conference is to make Collier County sports safer and the target audience is everyone, parents, coaches, volunteers, officials, etc.